If you’ve ever been behind the scenes on a giant cruise ship just before showtime you know what a madhouse is! There are cramped dressing rooms, multiple costumes laid out for fast changes, people running here and there, stage hands pushing sets into position . . . Cast members doing final stretches . . . practicing their plastered on smiles . . . the stage man ager announcing . . . “One minute everyone!” Lights out. Stage cleared. Music builds, lights come up, curtains open . . . and it’s show time!! But those few minutes before . . . when everything is ready . . . waiting . . . waiting to pop! And that’s what it’s like right now on our coffee farm in Palmira! The winds are howling, the dust is blowing, but the sky is blue and the sun is shining and the greatest show on a coffee farm is about to begin! The trees are loaded down with the buds of coffee blossoms just waiting for the show to begin! 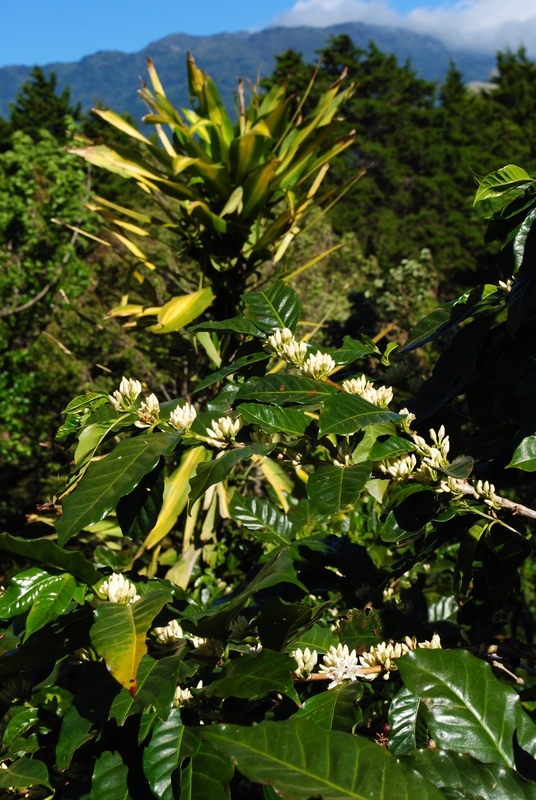 Coffee had several blooms a year, but this initial bloom is the big one. Because it blooms over a several month period, when it ripens the harvest stretches over several months, generally November through January. 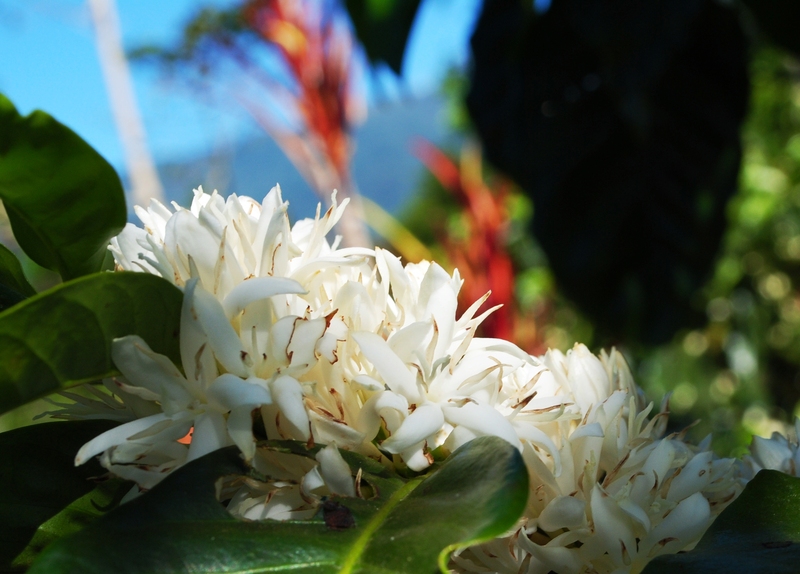 Coffee has clusters of fragile-looking, white flowers that smell like orange blossoms only not quite as cloying. It is a fantastic, fragrant smell. Frankly, I’m surprised that no one has come up with a coffee blossom perfume! When the entire farm is in bloom it is an amazing experience and just one of the many, many special things about Panama, things that offset the winds and blowing dust of the dry season. I missed the winds, and the coffee bloom last year because I was at sea, so it is extra special for me to be home and enjoy the blooming season.